LT Blue Service is responsive business Joomla template. 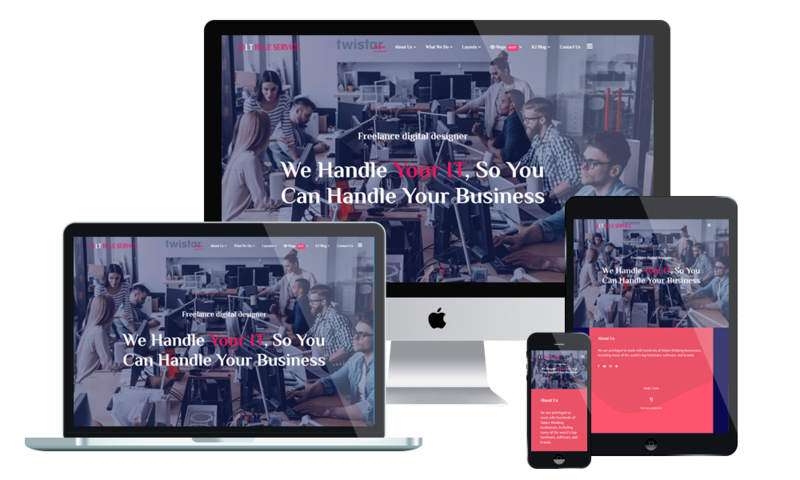 This template uses for business, portfolio and service websites to present its professional services, relationships, projects and team members, so on. LT Blue Service builds on powerful framework with 100% responsive layout (support for mobile devices) based on bootstrap, unlimited module position, strong shortcodes help you present content and it comes with 4 color styles build-in HTML5 and CSS3, but in fact it is really customizable, has drag-drop tools and color settings helping to create unique websites with various layouts.